The Pennsylvania Superior Court recently decided an important case, Harriet Marshall v. Brown’s IA, LLC, relating to the obligation of a supermarket to preserve videotape evidence in a Slip and Fall case. Ultimately the Court decided that the Shoprite Supermarket should have preserved more surveillance video than it did and that its failure to preserve the evidence amounted to improper conduct that should have been sanctioned at trial. On August 6, 2014 at about 8:54 a.m. Harriet Marshall was shopping at the Island Avenue Shoprite in Philadelphia. She was getting a pepper in the produce department when she slipped and fell on water and aggravated a pre-existing injury to her neck and back. Ms. Marshall reported the accident immediately and the store manager completed a report. Approximately two weeks after the fall, Ms. Marshall’s lawyer sent Shoprite a letter asking that Shoprite preserve video of the accident from 6 hours prior to the accident to three hours after the accident. 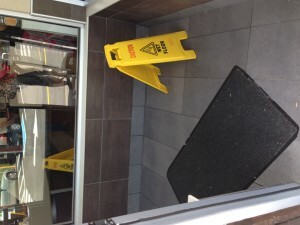 Ms. Marshall’s slip and fall was captured on the store’s video surveillance system but the quality of the video was not sufficient to show any spill on the floor. However, Shoprite decided to preserve only 37 minutes of video before the accident and 20 minutes after and permitted the remainder to be automatically overwritten after 30 days. At trial, the lawyer for Ms. Marshall asked that the Trial Judge give the Jury a Spoliation Instruction because of its failure to preserve all of the video that had been requested. Spoliation is the wrongful distraction of or failure to preserve relevant evidence. The Judge refused to give the Spoliation Instruction and Shoprite won the case. Ms. Marshall appealed stating that the Judge’s failure to give the Spoliation Instruction was an error and required a new trial. Spoliation is defined as the non-preservation or significant alteration of evidence for pending or future litigation. Trial Courts are given discretion to impose a range of sanctions for Spoliation including: entry of judgment against the offending party, exclusion of evidence, monetary penalties such as fines and attorney fees and adverse instructions to the jury. Spoliation sanctions arise out of the common sense observation that if a party has notice that evidence is relevant to litigation and then destroys the evidence, then it is likely that the evidence would have been damaging to the party who failed to preserve it. 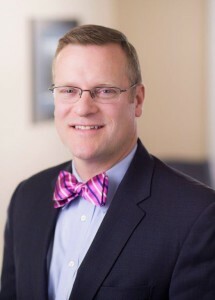 Spoliation sanctions attempt compensate those whose legal rights are impaired by the destruction of relevant evidence by creating an adverse inference against the party responsible for the Spoliation. This levels the playing field by allowing the Jury to conclude that the evidece, if preserved, would have been damaging to the party that destroyed it. The Superior court agreed with Ms. Marshall that Shoprite destroyed important evidence that was relevant to her Slip and Fall claim and that the Trial Court should have given and adverse instruction to the Jury. Ms. Marshall’s lawyer asked Shoprite to presereve extensive video and yet Shoprite preserved less than an hour and destroyed the rest. The Superior Court noted that if the video had been preserved then it may have shown relevant events including: someone dropping something on the floor, evidence of other people slipping the the same area or evidence of store employees inspecting the area. All of those things would have been relevant in the Slip and Fall case but could not be invesigated because the video was not preserved. In the end, the Superior Court decided that a new trial was necessary and that Ms. Marshall was entitled to an adverse instruction due to Shoprite’s Spoliation of evidence.